This week is National Storytelling Week. Every single person who supports the hospice, from patients and their families, to our staff, volunteers and supporters, has a story to tell. To mark this week, hosted by The Society for Storytelling, we’ll be sharing some of these stories with you. First up are volunteers, Colin, Geoff and David. We have a wide range of volunteer roles but there’s one role you may be less familiar with – that of our sample drivers, who fulfil a critical function for us. 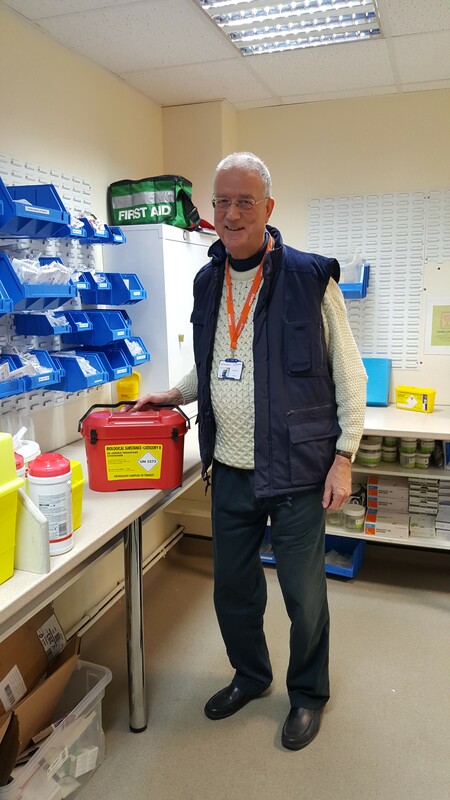 These three volunteers split the sample driver responsibility across the week and between them make sure that any clinical samples, like blood or specimens, are safely transported, in a special red box, to Crawley and East Surrey hospitals for testing. This allows our clinical teams to give patients the exact treatment they need. Prescription orders are delivered to Kamsons Pharmacy in Broadfield and sometimes, the drivers also make visits to the blood bank, pathology supplies warehouse and equipment library at East Surrey Hospital. If you are interested in volunteering with us, please visit our volunteering page, contact the Volunteering Team on 01293 447351 or email volunteering@stch.org.uk.